Between 18:30 and 08:00 Monday to Friday and from 18:30 Friday until 08:30 Monday , the surgery is closed. 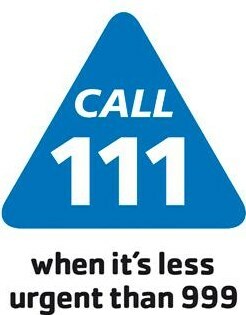 If you need a doctor urgently during these times please ring 111. Your call will then be answered at the emergency call centre. Specially trained nurses, who can give you immediate information and friendly helpful advice, staff this telephone helpline. It is a 24 hour service and completely confidential. They also have information on local dentists and pharmacists. Out-of-hours is now the responsibility of NHS Hull. Please only use this service for genuine medical emergencies. It is not necessary to make an appointment and patients can simply self-refer.